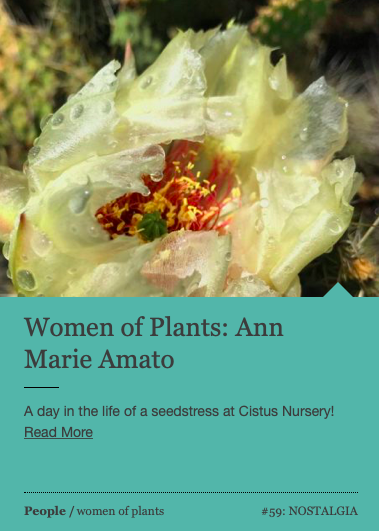 As summer begins to wind down here in the Pacific Northwest (and we enter into my favorite time of year), I thought it might be a nice time to review a few beautiful blooms of summer. Many of these images are older ones—so forgive me if you’ve seen them before somewhere on here. 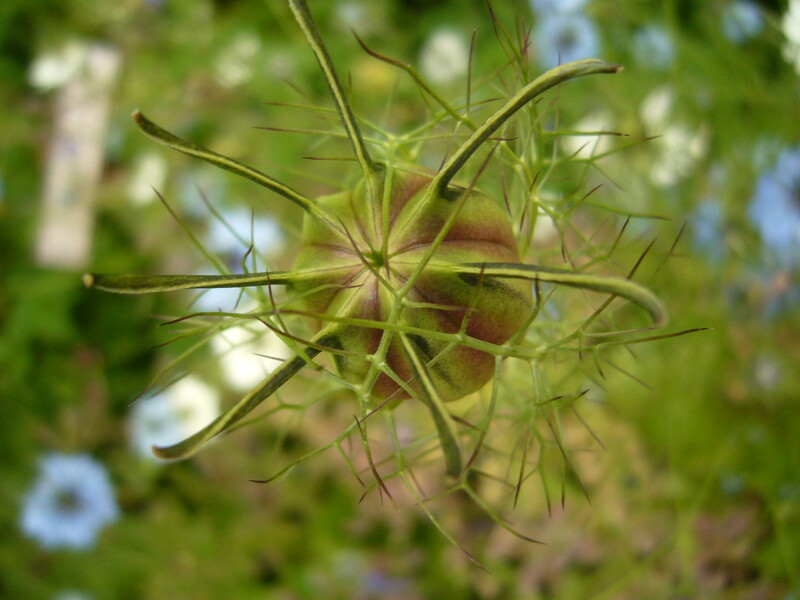 Love-in-a-mist after it’s finished blooming (Nigella damascena). The traditional school year begins soon. Maybe you’ve noticed all of the back-to-school fanfare and hoopla whenever you go shopping? I know I walk into stores wondering what back-to-school plants look like but I’m still not sure. Ok, darling friends of mine, you win (and I know at least one of you regularly reads my posts so thank you C). 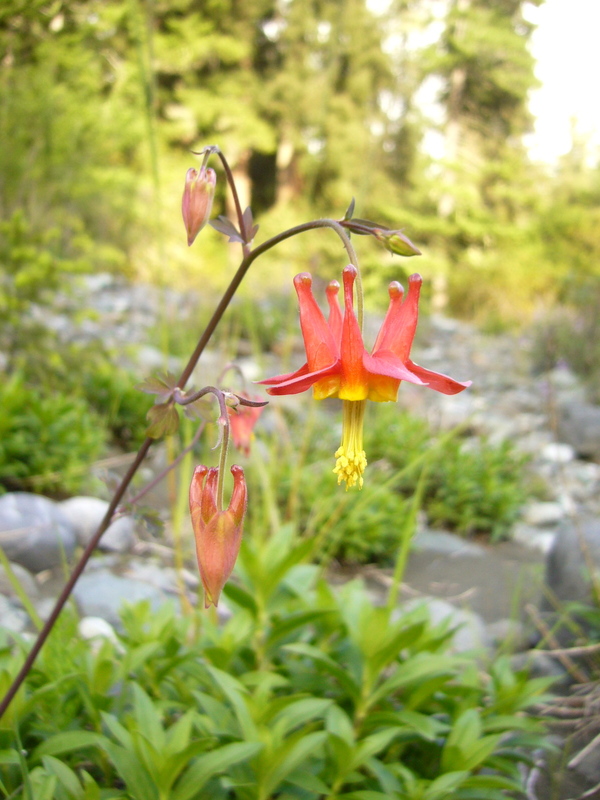 Western Columbine, (Aquilegia formosa) along the Smith River in CA. I’m going to admit to having an aptitude for the sport, but with some reservations. 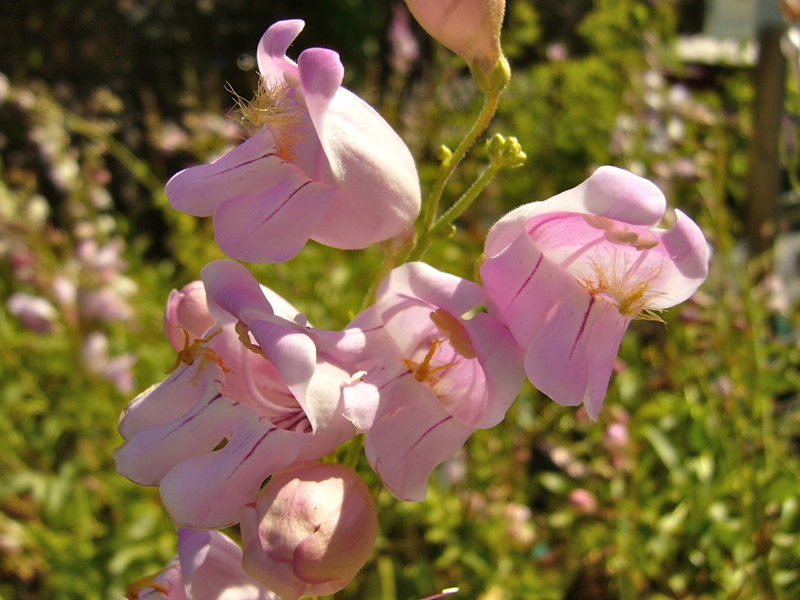 As I write this, straddling my words loosely between images of an Aquilegia and Mimulus I shot while visiting the Smith River in Northern California last year, I should mention that right after I took these pictures I fell and gave myself severe whiplash. 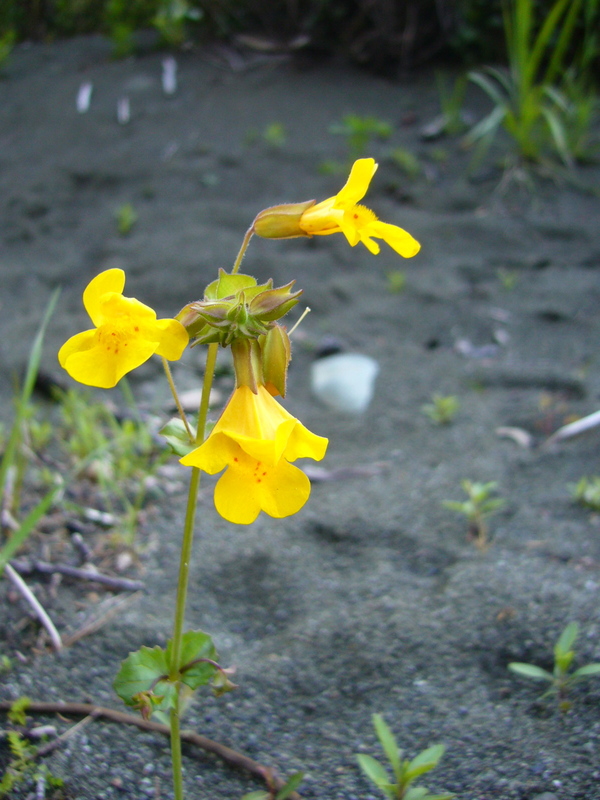 Common Monkey-flower, (Mimulus guttatus) along the Smith River in CA. 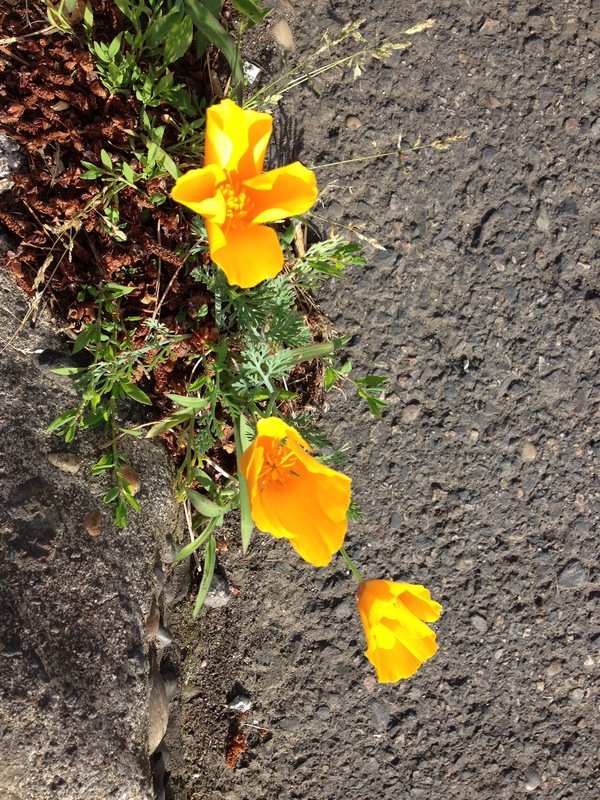 But let’s get back to some of those summer blooms [insert awkward transition here]. There are so many amazing little plants and blooms for our sentimental green souls to treasure and like so many others, I have that insanely nerdy desire to know how, where, and why they grow. That’s why many of the plants you see here I’ve grown from seed at some point, or else I had plans to play with that process this past year, but it had to be postponed until now. Yes, I can “announce” too that I will be back to my old routine soon and the basement will be filled with light and life this winter and I will stratify outside and I will be so happy about it. Yes, it’s these subtle little touches in the natural world which matter and are important. It’s these blooms that often have idiots like me coming back over and over. 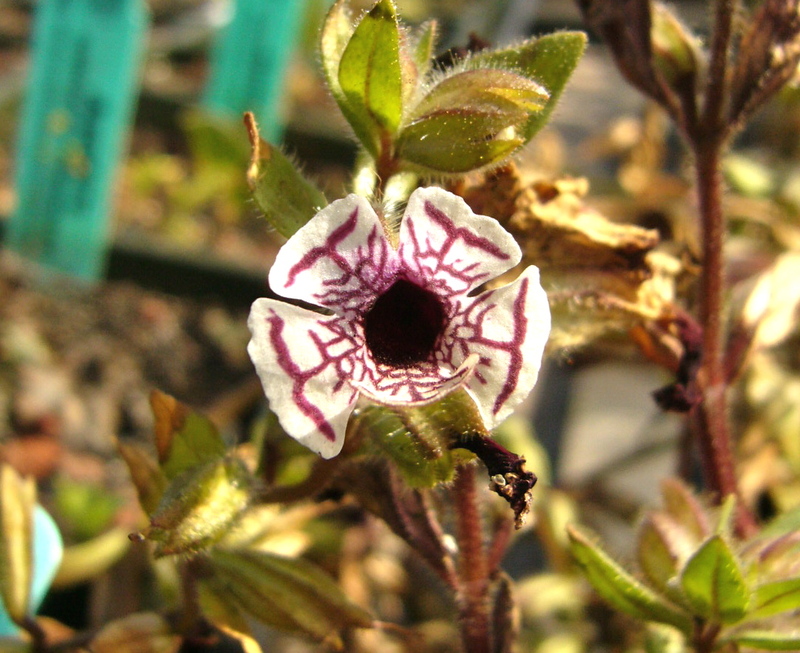 Calico Monkey-flower, (Mimulus pictus) at Annie’s Annuals & Perennials. Some of them are just amazing and you know of few other sights quite like them. 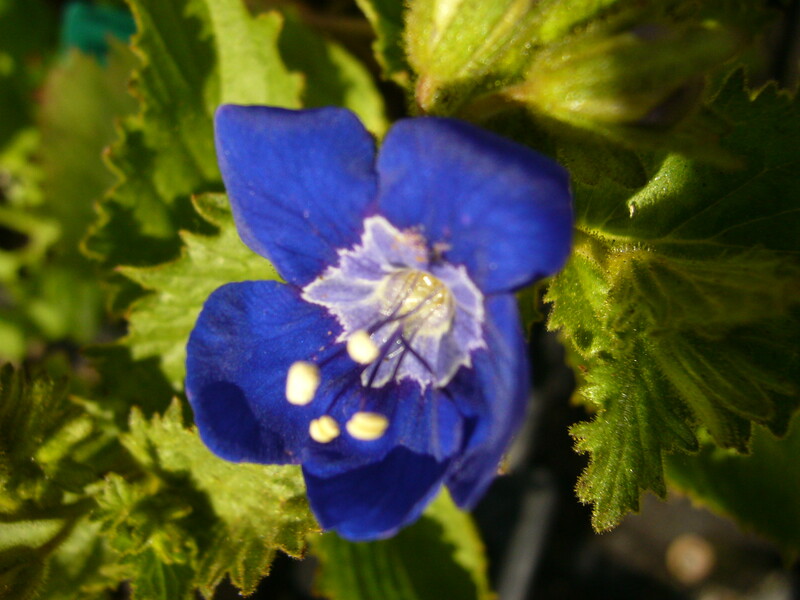 Sticky Phacelia (Phacelia viscida) at Annie’s Annuals & Perennials. 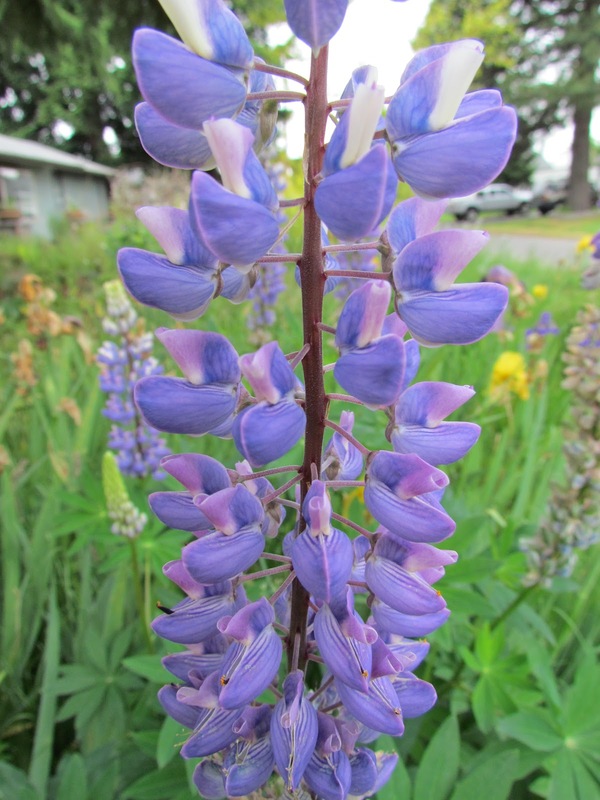 I don’t think I even need to mention what blue blooms do for a lot of people—myself included. 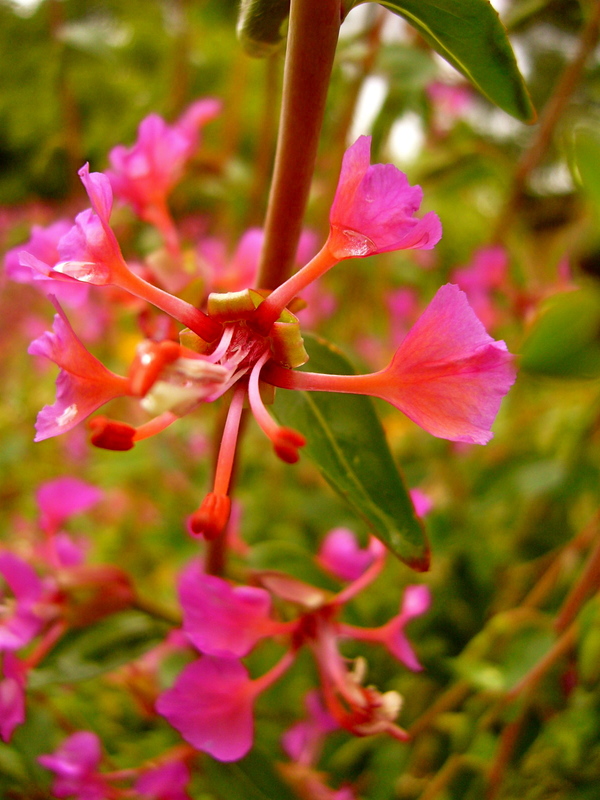 Rose Snapdragon, (Antirrhinum multiflorum) at Annie’s Annuals & Perennials. 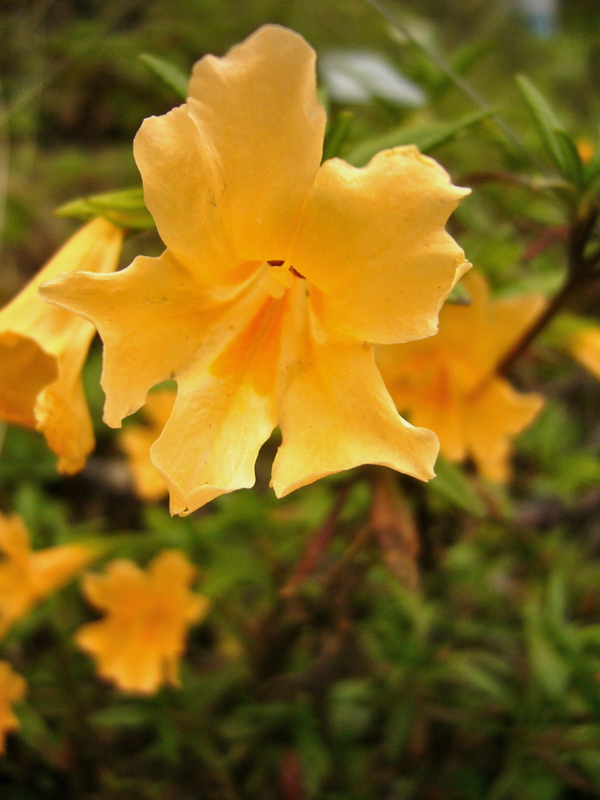 Sticky Monkey-flower, (Mimulus aurantiacus) at UC Botanical Garden at Berkeley. But then there are the glowing blooms that brighten your way and shine a light down that plant path we must all wander down. 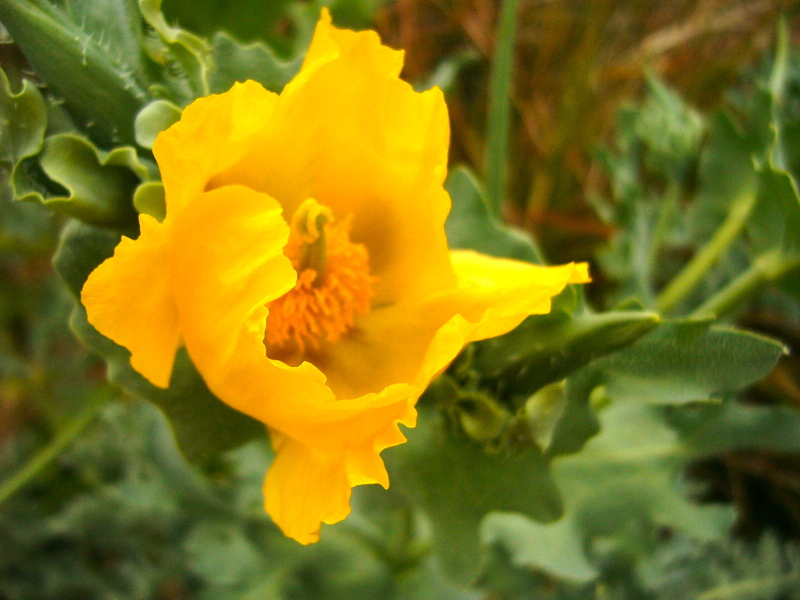 Mexican Prickly Poppy, (Argemone mexicana) at UC Botanical Garden at Berkeley. I remember visiting the UC Botanical Garden at Berkeley for the first time and remembering how funny I used to think it was that my friend Sean Hogan worked as a curator there. As someone who’d studied art history, I’d never thought of curation taking place outside of an art museum or gallery. So I looked around and thought about how much visual literacy mattered in both of these arenas. I knew that I fit in when I thought about having compared hundreds of Christ images as an undergraduate and how that ability could easily overlap with a survey, say, of Agave—or any other group of plants. 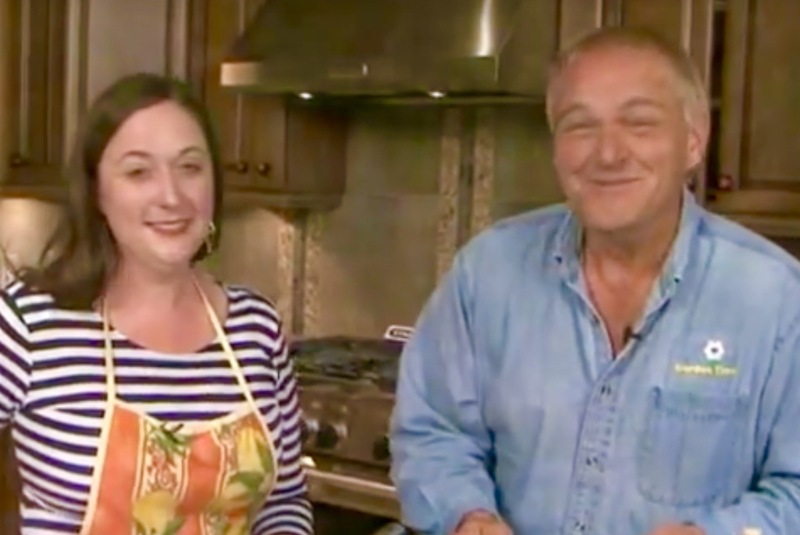 So similar to most, yet some of us just have a knack for discerning subtle differences—and these differences often matter a great deal and they tell us a lot. I’m not great at that game but I can spot and identify seed heads at great distances in their natural environment—sometimes while driving a car. It’s a skill—a very strange one, but it’s part of this whole process. 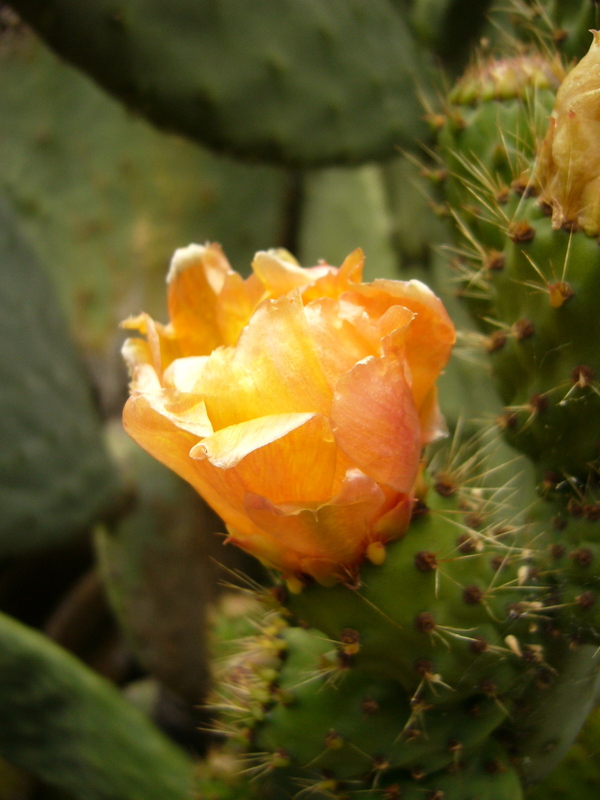 Prickly Pear, or Opuntia bloom. I remember walking around, looking at the students and employees, and I thought about how sad I was that I’d been unable to complete the plant path long ago. I had to turn around defeated before I’d even really gone very far. My illness made physical activity and a lot of technical work too difficult. I had to slow down and at times I just didn’t make much progress at all. My mind didn’t work as well and I no longer had near perfect grades. It took years to discover I had swelling in my brain that was impeding me and inhibiting my growth as a person. I was trapped inside and I struggled for years to find the words to describe what I was experiencing. I turned to art to soothe and stimulate my mind. I moved indoors, inside of myself. Later I moved indoors because I had no choice. My immune reactions disallowed me from being outside. I had to look out the window and I started to play with seeds to keep the hope alive. Life circumstances prevented me from being able to return to any of these green dreams until these last few months. Now they surround me again and I am surround by green friends too who’ve made me feel so welcome despite my typically stylish and late arrival. Just when I wanted to give up hope after nearly 18 years things started to unravel in very mysterious ways. What matters is that I’ve arrived and I know why I’m here now and what I want to be doing. After a really long time, I feel like I’ve finally grown and that at long last I truly bloomed this summer. I’ve never felt like this before but I’m getting used to it. It’s one foot in front of the other once again but this time I get to laugh and walk because I want to do so—not because I have to or need to do so. My load is so much lighter now—literally too. My mind is calm and silent now and I’m open to what’s ahead of me. I have the mental space again and have found my old quiet personal nature waiting there for me. It was there all along waiting for me to be well enough to come by and pick it up and wear it again as my second skin. It’s warmed me to the core to be myself again, and as time goes on, and I keep at this, I hope to better understand and explain my dormancy. 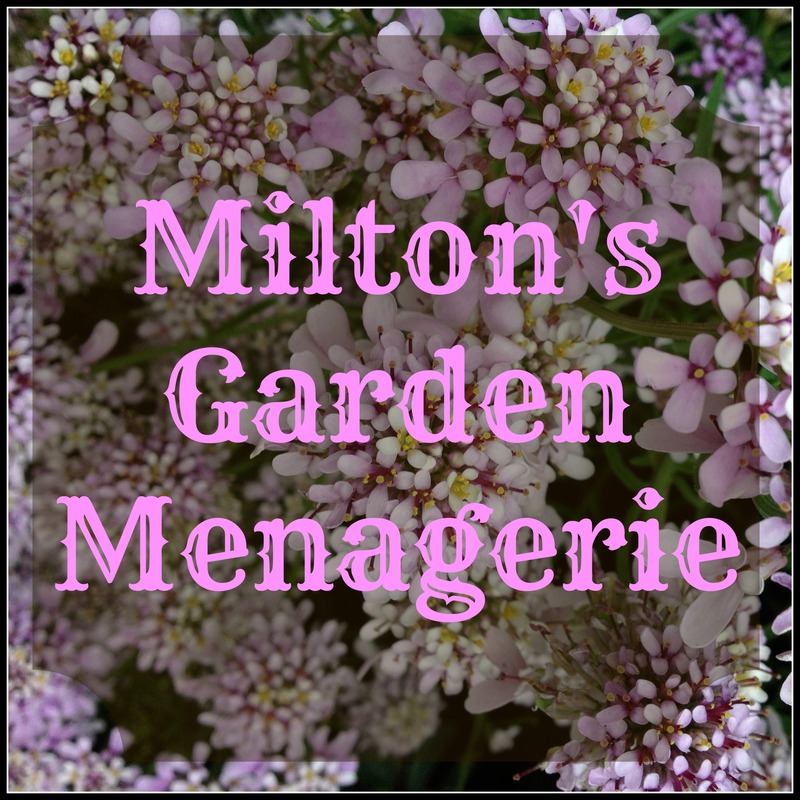 Until that time, I will revel in the simplest of things, the blooms of summer and the magic they bring to gardeners and plant lovers around the world. I’m a believer and if you’re here reading this, you probably are too. maybe you can volunteer your skills somewhere around one of the Millennium Seed Banks? Back to School plants?!? I think this needs to be a thing. I agree with Heather…the nurseries would do well to adopt your Back To School plant sale idea.